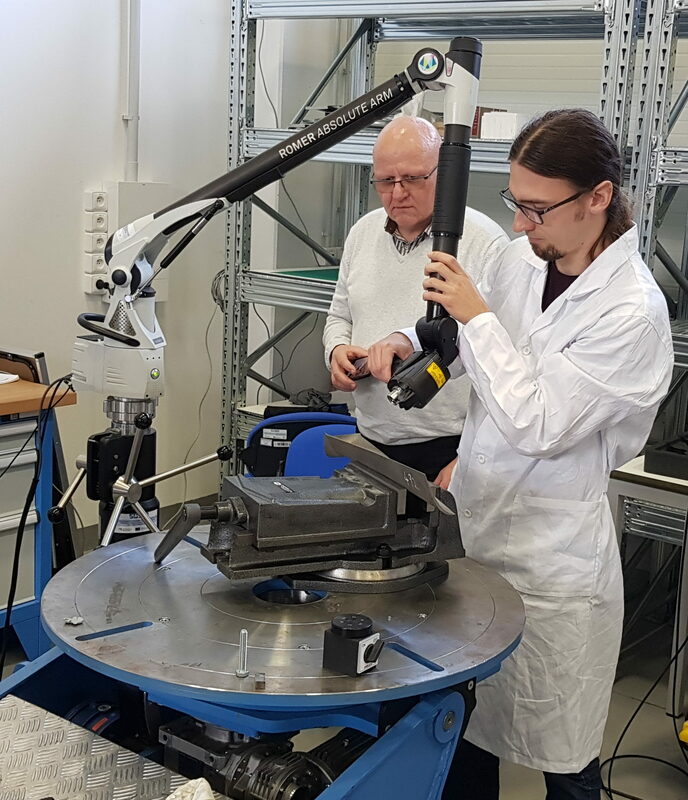 The first qualification of the non-destructive control procedures for conventional power plants was accomplished in the NDT laboratory of the Research Centre Řež in Pilsen. The 3D method for the measurement of the corrosion cavities on the low pressure blades of the steam turbines was qualified. This method was created as a part of the research project „ČEZ–Turbines – the development of the methods of control of the blades with the use of information from EPRI“, which was successfully accomplished in December 2017. Basing on this qualification the control of the pitting corrosion of the blades on the low pressure part of the steam turbine with the 3D method of scanning is full qualified for Conventional Energy Division of ČEZ. © 2019, Centrum výzkumu Řež s.r.o. This website stores temporary statistic data to recognize recent visitors. These "cookies" cannot be misused neither can cause any safety damage.